Choose the Best Plumbers Lacey Has to Offer! 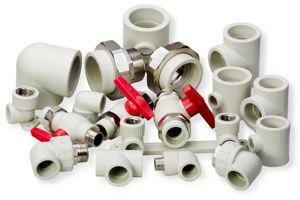 Plumbing systems are designed to work efficiently as long as all the pieces are working properly. There aren’t really any extra or unnecessary components, which can be good because that means there are fewer places where things go wrong. Unfortunately, that also means that when a part of it fails, it can affect the rest of it as well. 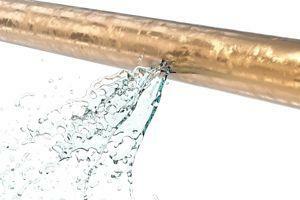 A small break in your main line, for example, can mean you don’t get any water at your property! For this and any other issues, call the plumbers at John’s Plumbing & Pumps, Inc. You won’t find another plumber in Lacey WA with the same level of quality, experience, and service as us! A common reason that people call our plumbers it to help remove tough clogs. Our drain cleaning service does just that. If you have drains that are backed up, it’s usually a clog, but could also mean that you need septic repairs if you’re on a private well. Our team makes sure to do the right service. Using state-of-the-art diagnostic techniques such as video line inspections, we can see inside your pipes in real time to see exactly what’s going on. From there, we can clear up the clogs with a rooter or hydro jetting service if there is one. If not, we’ll find out what else is causing the backups and take care of it. What other plumbing services do you do? Pipe repairs. Having a broken pipe can get you mold and water damage fast if you don’t act quickly. Don’t wait until your home is drenched to get it fixed! Whole property repipes. If you have an obsolete type of pipe material such as galvanized steel, replacing it with copper or PEX now can stop breakages and plumbing failures in the future. Water heater repairs and replacements. When you aren’t getting much hot water, it can ruin your daily routine. Let us come and see why you aren’t getting enough hot water and see if a new type of water heater might be best for you. Adding water treatment systems. If you need a water softener or are considering a whole home filtration system, our professional plumbers will see that they’re installed and working right. Our customer service won’t be beat! It’s important to choose a plumber in Lacey WA that knows what they’re doing to minimize the chance of something going wrong. But it’s just as important to choose a plumbing company with an emphasis on customer service as well. With John’s Plumbing & Pumps, you get both! With more than 60 years of experience, we know all about plumbing and can work on even the most complicated and unique systems. And our dedication to service means that we make sure it’s done right while treating you and your property with respect. Call us today and find out why we’re the best plumbers in Lacey WA!